The sixth annual hosting of Mocha Fest, dubbed the “Wildest Urban Festival” on the planet, is already shaping up to be the biggest yet. The total number of attendees for 2019 hosting of Mocha Fest Jamaica, is expected to at least double the 2018 numbers, which means thousands of crazy party people from all over North America and the Caribbean, gathering in Negril, Jamaica over the American Memorial Day Holiday for 5 epic days of all-inclusive beach parties, incredible music, food and other festivities. 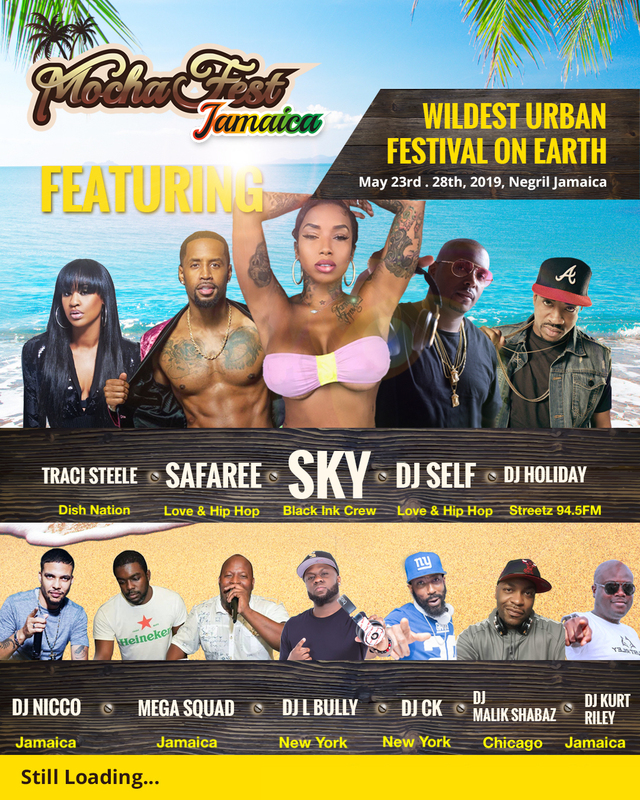 Already confirmed to join the party in Jamaica next Memorial Day Weekend for Mocha Fest, are Safaree from Love and Hip Hop New York, and Sky from VH1’s Black Ink Crew. These two very popular reality TV and Social Media influencers are expected to host at least 2 of the Mocha Fest 2019 super parties. Also among the list of confirmed features are, DJ Self from 105.1 New York, coming back for a second year, DJ Holiday from Atlanta’s Streetz 95 and DJ Traci Steele from Fox TV’s Dish Nation, will headline a list of more than 15 DJs expected to be on Showcase at Mocha Fest 2019. It’s just December so this is only the beginning of the list of exciting announcements to look forward to for the next Mocha Fest Jamaica. Hotel packages are already more than 70% Sold out, so you don’t want to wait to secure your spot with a deposit to ensure you get to party with the Celebs at one of the host hotels. Click here to book your package for Mocha Fest Jamaica 2019.